That’s FIVE days of post-apocalyptic mayhem! CLICK BELOW TO BUY TICKETS! PLEASE NOTE: PayPal is NOT an option with the Eventbrite payment system. There is only one ticket price. That is for all FIVE days and there are no additional fees for camping or parking. We have added more tickets for sale this year, but we do still expect WW to sell out, and possibly faster than it sold out last year due to this being our big tenth year. (Wasteland Weekend has sold out for the last five years straight). EXLUSIVE PATCH FOR THE FIRST 300 TICKET BUYERS! UPDATE: These patches are all spoken for at this point, and if you were one of the lucky ones who bought one of the first 300 tickets, you should receive an email by March 15th. The first 300 ticket buyers this year will receive a free exclusive patch. Patches MUST be picked up on site at the event. This year’s patch will have a 2019 crescent shaped patch (rocker) beneath it. 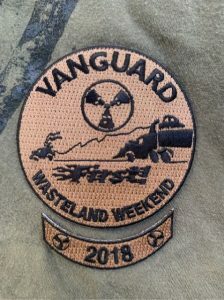 You receive the patch and the rocker if it is your first time receiving the vanguard patch. If you already have the vanguard patch from last your, you will just receive the 2019 rocker. Please note, if you end up volunteering rather than paying for a ticket, you will not receive a patch. Patches are meant for early ticket buyers only, as volunteers already get an exclusive volunteer dog tag. First 300 patches go to the first 300 ticket buyers. If a ticket is later sold or transferred to someone else, the original buyer still gets the patch. Patch owners will be determined by the names currently listed for each ticket at the time the 300 number is reached – most likely on the first day of ticket sales. Patch winners will be notified within a couple days of ticket sales that they are on the list, with instructions for on-site pickup. EXCLUSIVE TEN YEAR PATCH AND T-SHIRT SET! Presenting our new ten year shirt and patch set! A concert-tour-type shirt with every year of Wasteland listed on back (including the population each year) AND our ten year patch – it’s larger than our standard patch and made with metallic thread to be shiny and chrome! You will then pick them up on site. This means there’s no chance we run out of your size. These will only be available until July 1st! These will also be available for pre-order by our volunteers and performers laster this Spring. Shirt sizes go from men’s small through 4XL and women’s small through 3XL. Each shirt comes with a patch. Shirts and patches are not available separately. Look for them as an add-on item when you buy your tickets. (It is at the bottom of the ticket info screen. Be sure to use the drop down menu to select the t-shirt size, and enter separate t-shirt sizes as separate items, one at a time). $30 for a set of one shirt and one patch. No limit on the number of sets you can buy with your tickets (but no returns, refunds, or exchanges). Volunteer recruitment and performer applications will start very soon, which means volunteer positions and performers will be confirmed well before tickets sell out. So please do NOT purchase a ticket if you plan to volunteer or perform. On the off-chance that you are not picked as a volunteer or performer, you WILL still have time to purchase a ticket before the event. Our location is the same as last year. For more details, including important travel instructions, please see our MAPS page here. 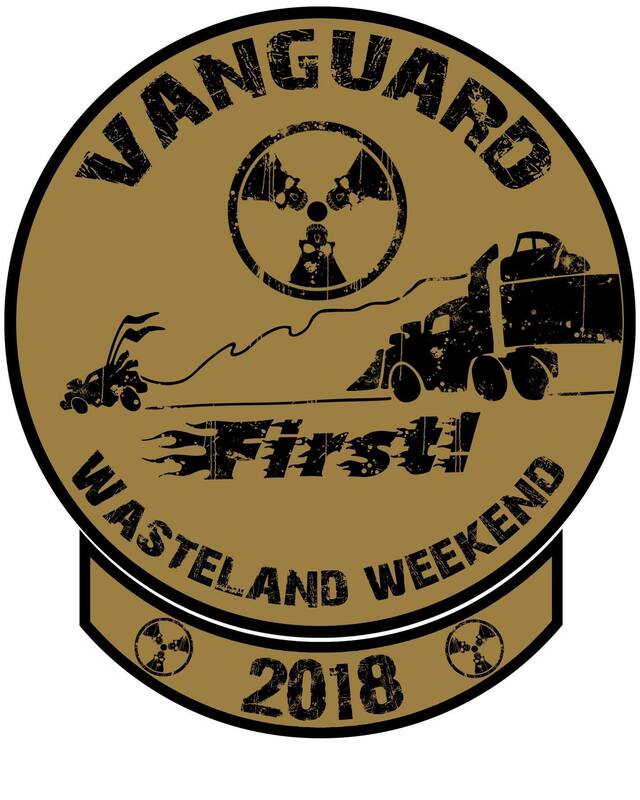 We highly recommend you only purchase your tickets to Wasteland Weekend through our official ticket portal on our website or directly on the eventbrite.com website. We cannot guarantee that tickets purchased any other way will be valid. However, we do not prohibit ticket buyers from giving or selling their tickets on to others (provided that they sell them for no more than what they paid – see the info on scalping below). 1. YOU BUY THIRD-PARTY TICKETS AT YOUR OWN RISK. 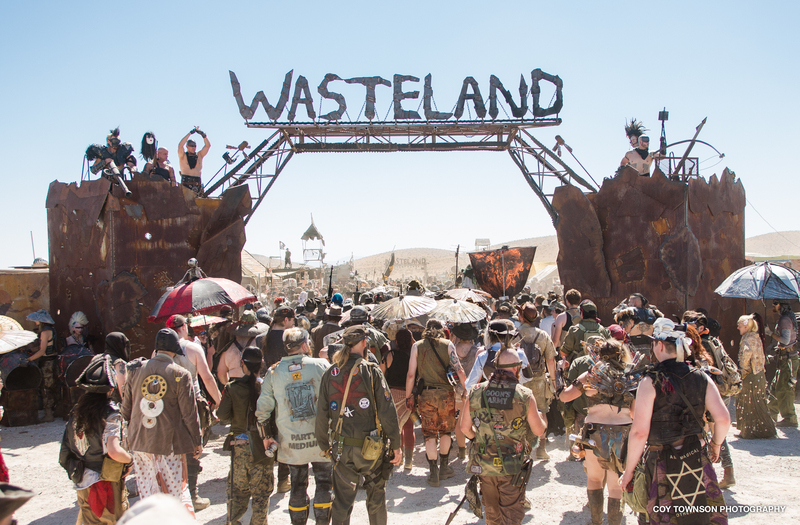 Wasteland is a non-refundable event. Ticket scams online have gotten worse and worse and we highly recommend you only buy tickets through this site or through Eventbrite, and if you do choose to buy a second-hand/third-party ticket, make sure you KNOW the seller. You do NOT want to be the person who drives 1,000 miles ready for a 5-day campout, only to find out at the gate that their ticket is no good. That said, we do not prohibit buyers from selling or giving their ticket on to someone else. However, you are buying and selling third party tickets at your own risk. Wasteland will cannot guarantee those tickets are legitimate, verify them for you, help change the name on the ticket online, or mediate between parties who have a disagreement over a ticket sale. 2. The original ticket buyer maintains control over the ticket until it is used. This means that the original ticket buyer is the only one that can change the name on the ticket – ever (think of them as the “admin” of that ticket). No matter how many times the original ticket email with QR and bar code is passed around, the original buyer can still change the name on the ticket in the Eventbrite system. There is nothing to prevent a ticket buyer from “selling” you their ticket and then showing up at the event and using the ticket themselves (provided the QR code has not been scanned yet). So make sure you TRUST the person selling you their ticket. 3. The QR code IS the ticket. Each ticket has a unique bar code and QR code. The QR code is the part we actually scan. Once the QR code for that ticket has been scanned, that ticket CANNOT be used again. We highly recommend you have a ticket with your correct name on it, as it will make the check-in process that much faster, but ultimately, if someone has a ticket with a working QR code, they can get in to the event whether or not their name is on the ticket. Each QR code can only be used once. Never share a photo of your ticket online with the QR code visible. This would make it easy for someone to counterfeit your ticket. Regardless of what name is on your ticket, make sure that you have your own valid, government-issued photo ID with you when you arrive. You will not get in without one (this is for age verification and liability, not because it has to match your ticket). You will NOT be allowed in without a valid, government-issued photo ID (drivers license, passport, military ID). If you just drove 3,000 miles without it, you’re driving 3,000 miles back. Sorry. If this is confusing, we’ll give you an example. Let’s say John buys a ticket and later sells it it to Jane. He goes into the Eventbrite system and puts Jane’s name on the ticket. Later, Jane can’t get off work and wants to give her ticket to her friend Sam instead. Jane asks John to change the name on the ticket again, this time, to “Sam”. John doesn’t respond but Jane emails Sam a copy of her ticket so he can use it anyway. Let’s assume all three of these people decide, for whatever reason, to show up to Wasteland and try to use the ticket they they all now have a copy of. Who gets to use the ticket? Who gets in to the event? The answer: The first person who gets that unique QR code scanned. After that, the ticket cannot be used again. Please know that Wasteland Weekend would like there to be a better system for transferring tickets among attendees and we are working with Eventbrite to hopefully have a better system in the future, but for now, there is no other way to do it. And frankly, this is how pretty much every other large festival or concert operates. Even with all of the above you should know that we have had many people give tickets to others to use with no issue, and we hope that, if you choose to go the third-party route (which may be very common once the event sells out) you will probably not have any issues whatsoever. We do believe most of our attendees are trustworthy sellers of tickets. But unfortunately, if for some reason your ticket does not work out for you when you arrive, we will not be able to help you if you were not the original purchaser. Finally, if anyone out there thinks that this may present an opportunity to scam someone, be aware that it is VERY easy for us to track fraud like that within the Eventbrite system, and there will be consequences if it ever happens. A note about SCALPING: Selling a ticket for more than its value (scalping) is illegal in the state of California and it is definitely frowned upon by the Wasteland community. Anyone known to have sold a ticket to Wasteland Weekend for more than the face value of a ticket plus fees may find themselves banned from future Wasteland events.